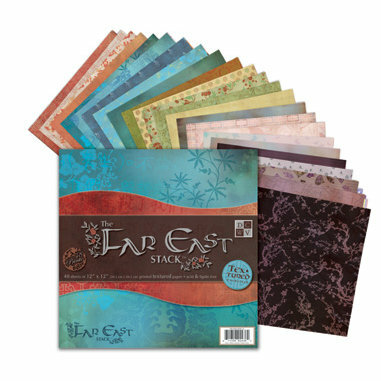 The Far East 12 x 12 Paper Stack from Die Cuts with a View has an Asian inspired theme that is sure to add flair to your scrapbook layouts and paper projects. 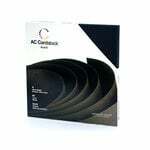 Each stack contains 48 sheets of premium printed textured 12 x 12 cardstock. 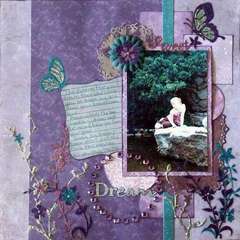 Die Cuts With A View (DCWV) are in my personal top 10 of paper packs, selection & quality. 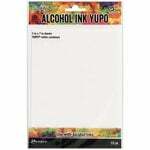 They are very versitile and can be used for not only scrapbooking layouts (LOs) and or matte making, but can be used also for projects such as cardmaking, tag making, recipe cards, cut out letters, school projects, etc! 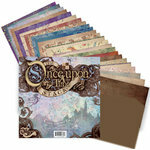 Overall, I can't believe how much I ended up loving this particular stack!...All the papers included in this stack are gorgeous and include beautiful patterns, butteflies, script writing and scenery backgrounds. I would absolutely recommend this product to any friend! 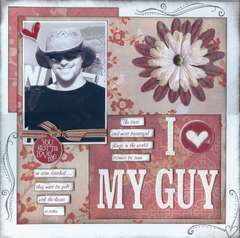 I have gotten to love the quality and diversity in style of the Die Cuts with a View Stacks. The stacks are huge, and the paper is so detailed and beautiful! 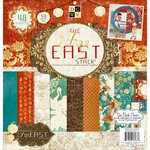 The Far East Stack has 48 Prints of TEXTURED Cardstock! The patterned paper prints range from very detailed with Far East Inpired prints to more subtle prints that are great for backgrounds! 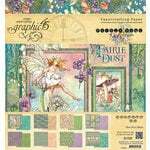 I would recomend this 12x12 stack to any scrapper or paper crafter who craves a little variety in their patterned papers! It is unlike anything I have seen! Love these papers! It's not your 'typical' asian paper, chinese symbols etc. 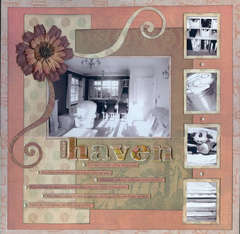 The colors are really beautiful that you can use the pages not just for an asian theme. 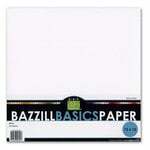 These papers are also very thick compare to DCWV spring or summer stack, it's comparable to bazzil cs or bg papers. I love all the dcwv paper stacks, but this one by far takes the cake! 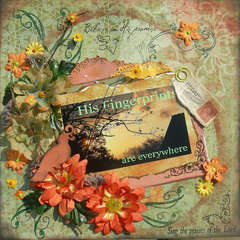 The colors are beautiful and earthy, and can be used for any layout, not just for asian themes. 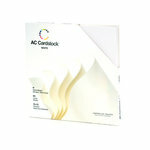 The cardstock is heavy and high-quality ... it's an outstanding value for the price! I really like the look of these papers. I am always on the lookout for Asian inspired items for scrapbooking or for making altered items for friends and family and these are perfect! They are beautiful! I love love love this stack!!! I was always looking for paper to do an Asian theme scrapbook! I also bought the matching scrapbook as well! I couldn't help my self! I must have! THIS PAPER IS AWSOME !!!!!!!! I HAVE NEVER SEEN THEME PAPER LIKE THIS BEFORE ( I SAW IT IN PERSON AT A STORE) WELL WORTH THE MONEY TO HAVE, WILL MAKE YOUR CREATIONS STAND OUT. 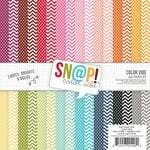 Beautiful cardstock with exotic prints, colors, and patterns. 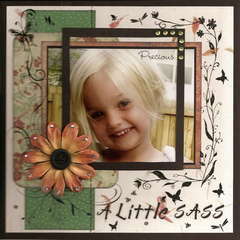 Rich colors, elegant watermark looks to some pages and just endless possibilities for absolutely gorgeous pages. Most Asian themed papers are so over done with designs and colors they make my head swim. But NOT this stack. It's perfect. Easy to work with, too. Just the right touch.